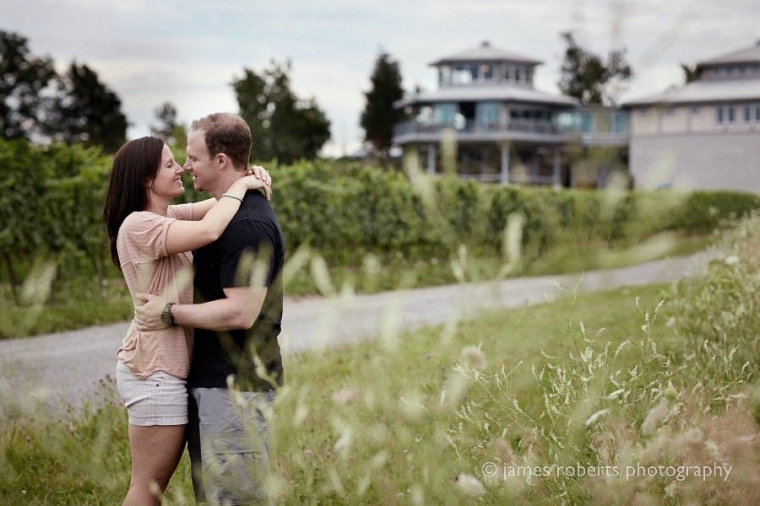 Yesterday evening, I travelled with a Cassandra and Brent–a couple getting married in September–to Niagara and fruit and wine country there. In Toronto, in Kitchener, and everywhere around us, it was raining–but not in Twenty Valley! We had a great time; they’re fantastic company and were very patient as I worked out some different photographic takes on local wineries and landmarks. 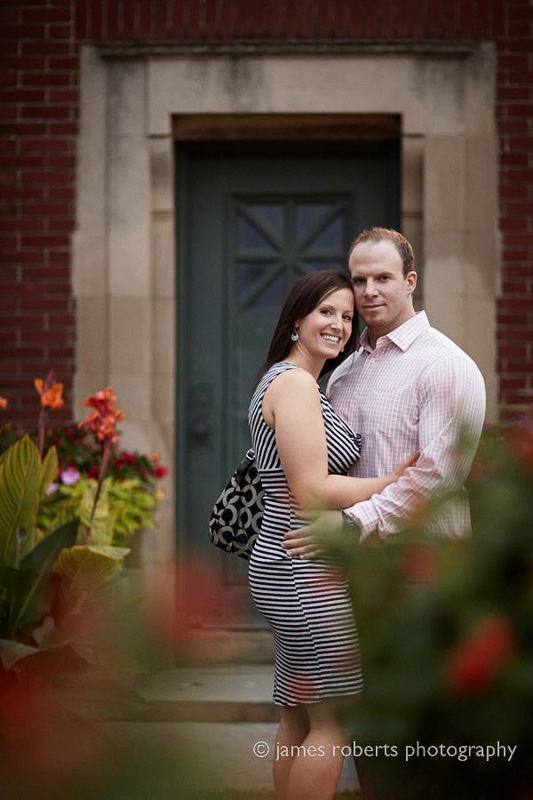 So this is just a little sneak peak at some of the engagement session photos we took at various locations in Jordan and Niagara on the lake. Lots more photos to come! Interestingly, the light was almost omnidirectional with the way the cloud cover balanced over the open sky, but it made for some dramatic skies! By the way, someone asked me why I think Canon’s 5d Mark 3 (my current SLR) has such great colour. You really need to see prints to for the full impact, but if you have a colour-managed browser you can also tell some wonderful things in the way the camera renders subtleties of reds and blues, and yet maintains fantastic skin tone consistency, even in low light with mixed natural and tungsten sources (which is generally a problem). Interestingly, both cameras here maintain excellent skin tones while seeing the surroundings a bit differently (and the lenses play a big role here too).